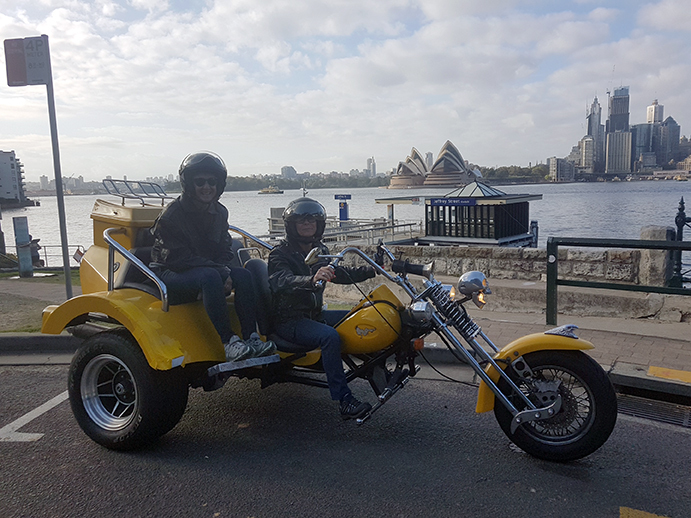 Kim + Kylie have both wanted to do a trike tour for quite a number of years – this is the year! They organised the Beach Beauty birthday trike tour with us. They live in the inner west of Sydney but decided to drive to the north side so they could see more of the northern beaches. We researched the areas and found a good place in Chatswood where there is no time limit of parking fees. Craig our trike rider, picked them up from there and took them on the 3 hour Beach Beauty tour. They wanted to spend more time around the Palm Beach area because they don’t visit there much. Craig knows the area well so showed them the well-known and famous sights (Home and Away territory) and the lesser known but equally as impressive scenery. 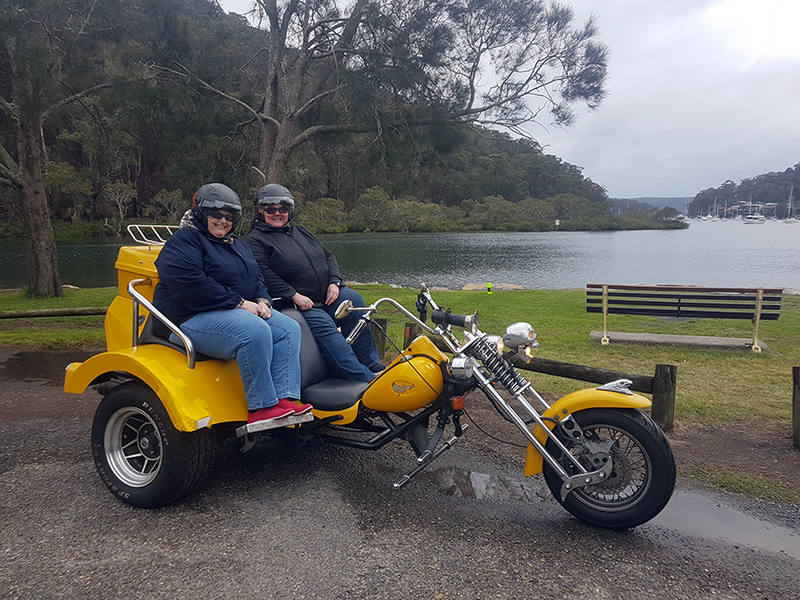 Our passengers had a wonderful time, saw heaps and loved the experience of being on the trike. There really is no feeling like it, it is so much fun.